American (post). Yes, this multi-year experiment became too big and unwieldy for me to keep track of it in the real world, and so I took it online. If you’d like to find out what’s happening with the “translating poems into objects” project, then this is the place to go. If you’ve ever wondered what all that wandering and staring into space adds up to, then this is the best answer I’ve got, and it includes poetry, nonfiction, multimedia and blogging projects as well as conversations with interesting folks. 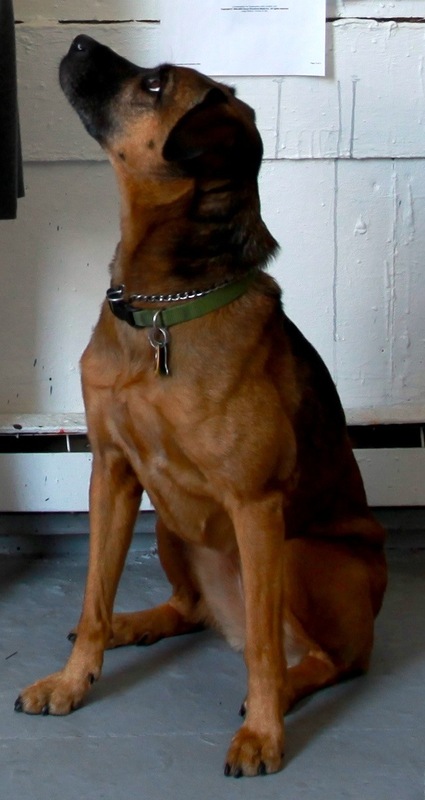 Janie the Dog, my studio helper extraordinaire. And, if you’d like to receive project updates and other newsy bits, please click the “follow, follow, lead” button and/or the button to like my FB page.